Facts that the US is sending arms to Nigeria came on the heels of the US Ambassador to Nigeria, James Entwistle?s revelation in an interview with journalists that the US government never placed arms embargo on Nigeria. ?There?s been a lot of misunderstanding on this issue before, during and after President Muhammadu Buhari?s visit to Washington. Let me be clear about a couple of things. One, we had worked very closely with Nigeria on the Leahy Amendment?.The second piece of misinformation, which has been bandied about in (newspapers?) headlines, is that the US has lifted its arms embargo on Nigeria. There was never an arms embargo,? Entwistle said. According to Radio France Internationale, the US Defence Security Cooperation Agency records show that the country?s Department of Defence is set to transfer military material to Nigeria. The RFI noted that a DSCA list of ?so-called Excess Defence Articles? slated for Nigeria indicated that the US Army was about to transfer Caiman trucks, armoured vehicles designed ?to defeat current and emerging threats,? according to their manufacturer, British-based BAE Systems. The RFI added that the US government was also sending armoured vehicles known as MaxxPro MRAP (Mine Resistant Ambush Protected), made by Navistar Defence, an Illinois company, and Israeli-based Plasan Sasa. It is unclear which Nigerian military units will receive the equipment, but the report said that the US government had confirmed that deliveries were pending. When The journalists contacted the state department to confirm the types of military hardware the US would be sending and when deliveries of the weapons would be made, the newspaper was directed to contact Nigeria?s Ministry of Defence. 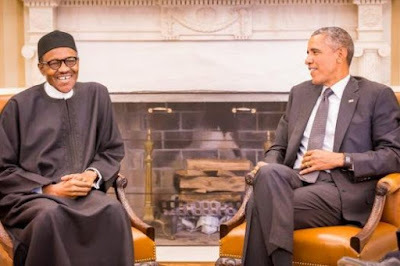 The spokesperson for the US State Department, Noel Clay, via an email to newsmen, said, ?The United States is set to expand its efforts to provide bilateral security assistance to Nigeria to counter Boko Haram. We will refer you to the Nigerian MoD to confirm the arrival of any US-origin material, but we can say that a key component of our security assistance to Nigeria in recent years has been training on the importance of respect for human rights and professional military conduct. ?Impunity for human rights violations by security forces not only tarnishes Nigeria?s reputation, but cannot prohibit us from engaging with involved units. We will continue to work with the Nigerian military to ensure they conduct disciplined military operations in accordance with clear rules of engagement and international law; treat all detainees humanely; allow access for independent monitors to all detention facilities; and hold accountable the perpetrators of unlawful violence.? Meanwhile, a former Head of State, Gen. Yakubu Gowon (retd. ), has said that prayer is the best weapon against terrorism. Gowon, who is also the founder of Nigeria Prays, a non-profit organisation, said this on Sunday at the National Prayer Rally, which held at the Olive Tree Parish of the Redeemed Christian Church of God, Ikoyi, Lagos. He observed that Boko Haram insurgency had been the most disturbing of all the problems of Nigeria. Gowon, as Nigeria?s ruler between 1967 and 1975, prosecuted the Nigeria-Biafra civil war. He said the incessant suicide bombings in the country were enough cause for worry. He said, ?It is sad that some people wilfully take their lives and the lives of others. This is a great concern. There is no longer respect for lives. There is no regard for human dignity. This is worrisome. That is why I really want to appeal to Nigerians to raise an altar of prayer for Nigeria. We should consistently pray and constantly ask that God will cause his mercy to flow in our nation. The bloodletting is embarrassing and ungodly. It is time for us to raise our voices and cry to God for His mercy on our land. ?If God could save the Biblical Saul who later became Paul, I am confident that God can touch the lives of these people called Boko Haram. We know they are faceless and nobody knows their agenda. That is why I believe that it is only God who can really intervene in their lives and bring a change. ?